Code is the "how" of human productive activity. The creation, implementation, and refinement of code have been the infrastructure of human progress from Neolithic simplicity to modern complexity. In a sweeping narrative that takes readers from the production of Stone Age axes, to the invention of chocolate chip cookies, to the experience of Burning Man, Philip Auerswald argues that the key driver of human history is the advance of code. At each major stage in the advance of code over the span of centuries, shifts in the structure of society have challenged we human beings to reinvent not only how we work, but who we are. We are at one of those stages now. 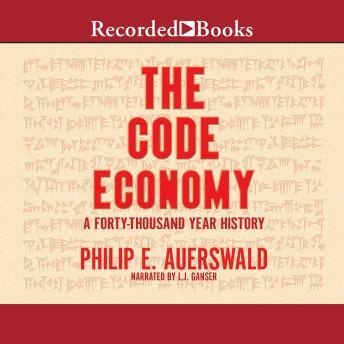 The Code Economy offers an indispensable guide to the future, based on a narrative stretching forty-thousand years into the past.